Surrey Fitness Camps Christmas Party, December & Christmas timetable! Well done to all those that braved the torrential rain at our Saturday class! Mentalist the lot of you, absolutely no way I would have turn-up if I was a member! Next Saturday the 8th December is our annual big social – the SFC Christmas Party – I can’t wait! Again this year we are taking over the Rose and Crown in Godalming from 7pm. We always get a huge turnout so come along and have a few drinkies (and late night kebab) with everyone! We run our classes 52 weeks a year with loads of classes over the Christmas period! Through to Christmas we have virtually a full timetable with our Christmas timetable running from the 24th December. Our full timetable resumes on Monday 7th January! You will of course get plenty of reminders of our Christmas timetable closer to the time (you know me!) You can also see whats on where by checking our ‘Live Timetable’! Small Group Personal Training sessions in December! 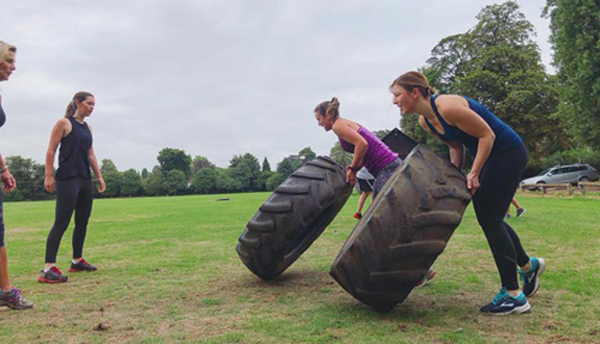 Places are up from grabs now on our PT Blitz sessions with limited availability! These sessions are great this time of the year to limit the damage and I will be running extra evening session through Christmas week (Thursday 27th and Friday 28th) for those that have to work between Christmas and New Year (harsh!). You can see all the dates and times on the website. To book on some just ping me an email!